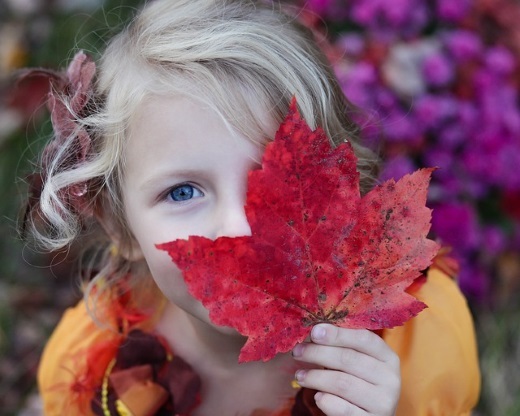 Ideas to help you develop a heart of gratitude in your family or classroom. Weekly activities to help build an attitude of thanksgiving. 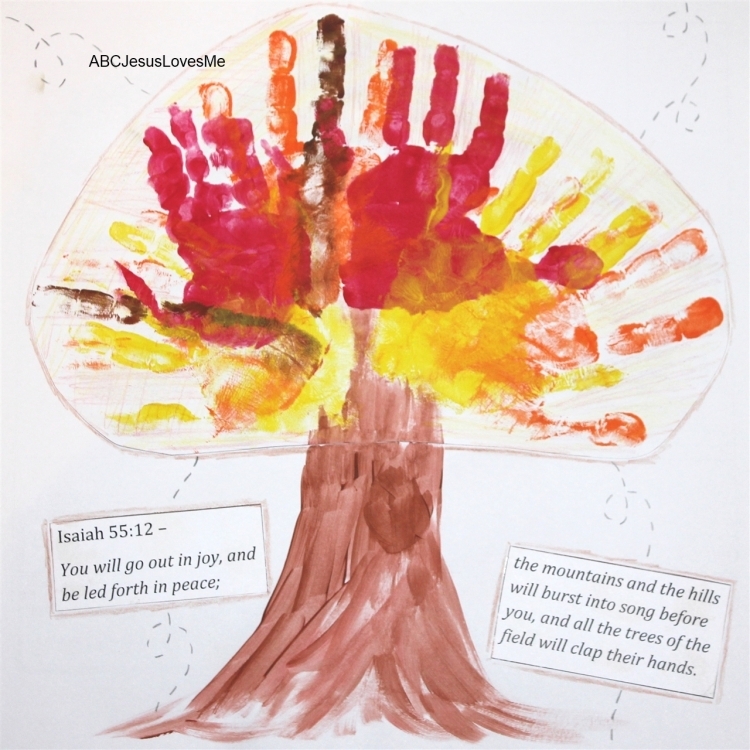 The Workbook centers around memorizing Psalm 100 using a storyboard and actions. Weekly crafts, songs, and activities support the learning. 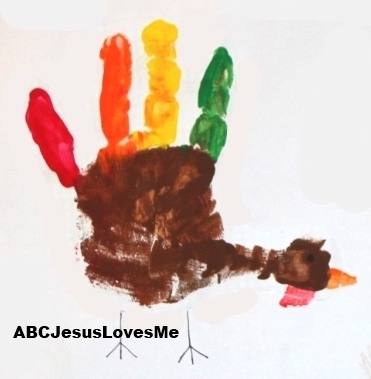 Beginning in Week 3, a Thanksgiving Tree is created to develop an ongoing list of praises. Free for family Our Out-of-Sync Life blog and ABCJLM Newsletter subscribers, or purchase here. Print the Attitude of Gratitude poster (one for each child or person in the family). Hold a family meeting and discuss with your child(ren) what it means to have an attitude of gratitude. Give each child an "Attitude of Gratitude" poster and have the child write his name on the dotted line on the poster. Explain that every time he expresses something that shows a grateful heart and spirit he will be allowed to place a sticker on the chart. At the end of the month, reward each child with something special to show how important it is to you that he is learning to have a grateful heart. Prepare a " Baskets of Thanks " containing goodies for people whom you are thankful. Include a note of thanks. 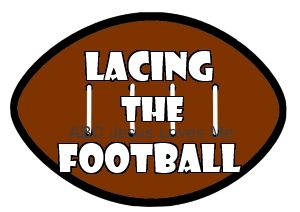 Print the Lacing Football printable on cardstock. Color and cut out the football. Punch holes for the child to lace. Thank you to Amy at Traurigs In Training for sharing this idea. Using the same table cloth each year and permanent fabric markers, invite your family to write or draw something they are thankful for that year. Be sure to date the writing for future reference. Each year before our Thanksgiving meal we read a story from Family Life Today called Thanksgiving: A Time to Remember by Barbara Rainey. It is a story of the Pilgrims' faithfulness and biblical thankfulness. The book contains both large and small print words. Depending on the age of your children or the amount of time available, you can choose to read the large print for the whole story, or read everything and get more details. Following the book reading, each person is given six pieces of corn. Circling around the table each person says one item that he or she is thankful for and then places one of the kernels of corn in a mug that we pass around. This process continues until all six pieces of corn are gone. (Each person shares six items of thanksgiving but this number may be lowered depending on the age and number of participants.) Thank you to Nicole for sharing this idea. Put everyone's name in a bowl and place it on the table. 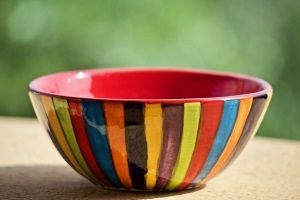 Instruct each person to draw a name from the bowl and say one reason that he/she is thankful for that person. Grab a couple of cans of crescent rolls. If you have the time and enjoy baking, make up a batch of butter horn rolls. 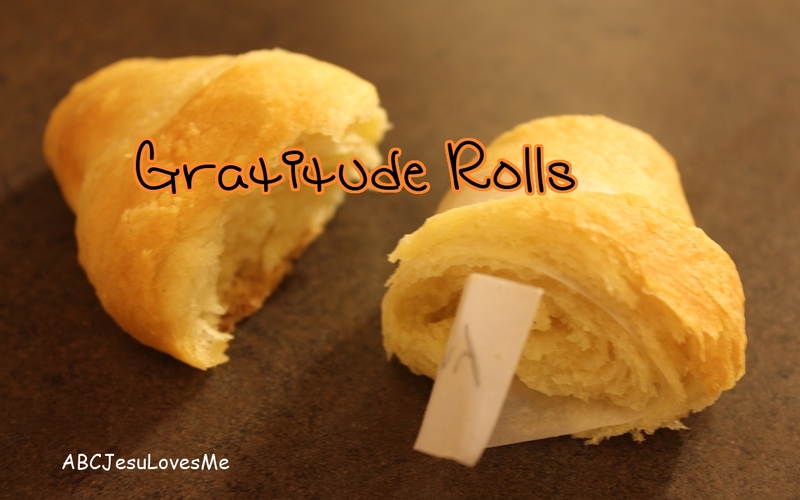 (For best results use a higher-fat-content roll so the thankful stripes don't stick.) Cut stripes of paper that are approximately 1/2" x 3". With a pencil write or draw a picture of something that you are thankful for. 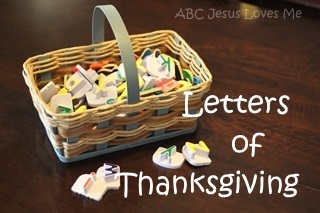 On the dining room table place a basket of magnetic refrigerator letters for the kiddos to pick a letter at meal time and tell you one thing they are thankful for that begins with that letter. Write the ideas down to create an alphabetized list. 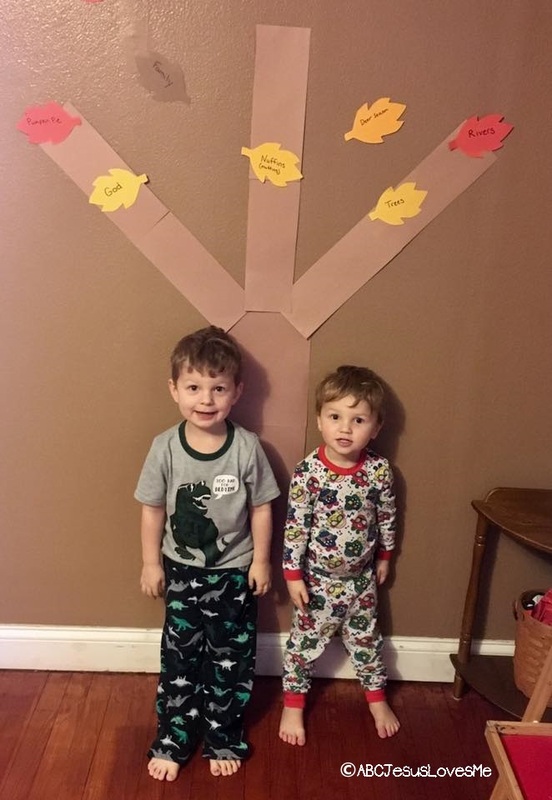 On a wall, door, or a bulletin board create a tree. Cut leaves to add to the tree. Each evening encourage each person to write one thing that they are thankful for and add it to the tree. 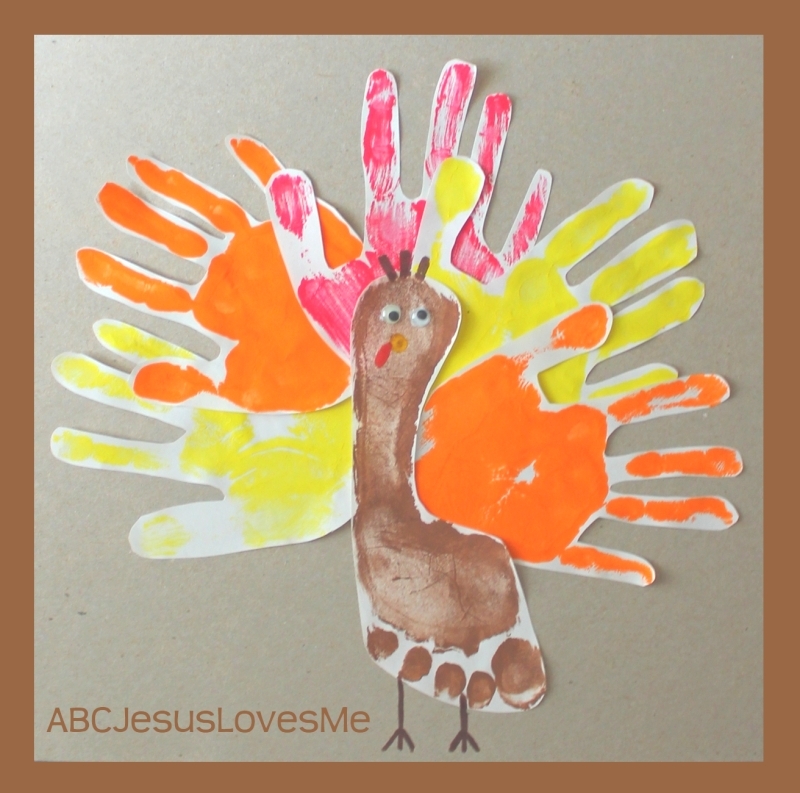 Printables included in the Thanksgiving Activity Workbook. Add to a paper chain each evening by encouraging those in your family to write one thing that they are thankful for on each chain. See how long of chain you can create! For younger children, premake the chain and have the child tear off a link each day. 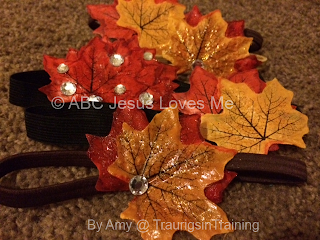 May also write on a leaf and chain to create leaf garland. Thank you Lori for this toddler tailored idea! On the wall, door, or a bulletin board create the body of a turkey. Cut feathers to add to the body. Each evening encourage each person to write one thing that they are thankful for and add it to the turkey. Create a collage of items in which you are thankful. 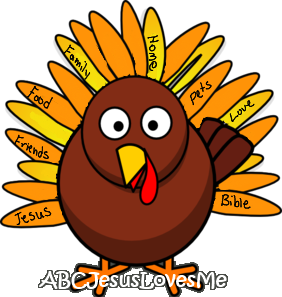 Draw or cut out pictures of the items and add the title "I am thankful for." 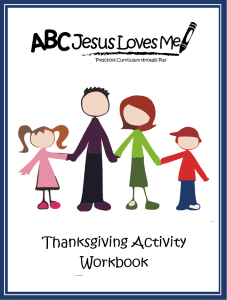 This book contains an example of creating and performing a Thanksgiving play. Precious book by P.K. Hallinan to use as a kick off to the Thanksgiving season. Create a turkey from feathers, toilet paper roll, and construction paper. Write what the child is thankful for on the feathers. 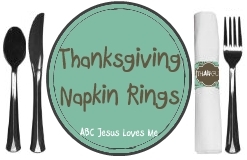 Create napkin rings to add to the Thanksgiving meal. Print the Napkin Ring printable. Cut apart. For several uses, glue to toilet paper rolls cut to size and place around a rolled napkin. Or, tape around a rolled napkin. Each printable will make six different designs. Thank you to Amy at Traurigs In Training for creating this printable. This is a fun idea to let family and friends know that you are thankful for them. See directions and images shared by Olga on our blog. 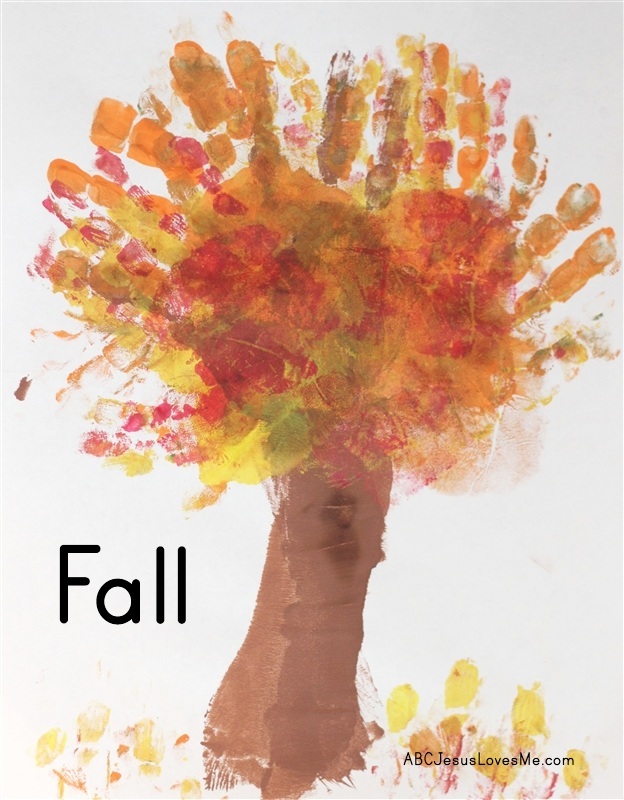 Drawing around a child's hand or dipping it into paint. Add eyes and a mouth to the "thumb". Decorate an apron with handprints to give as a gift. Make one foot print and at least five handprints. Cut out and glue to a piece of paper. Add eyes, a nose, and feet to the turkey. 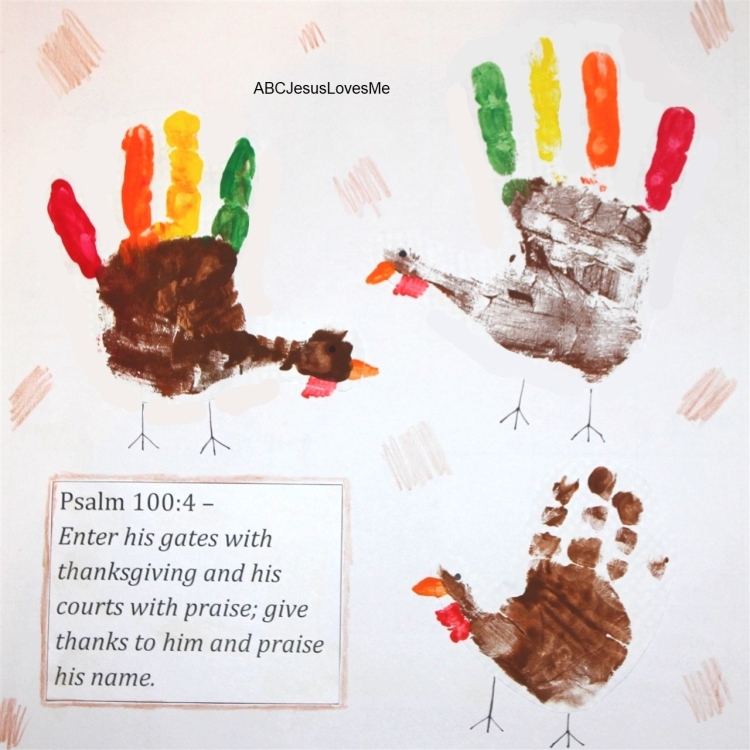 Use the November page as a Thanksgiving craft. 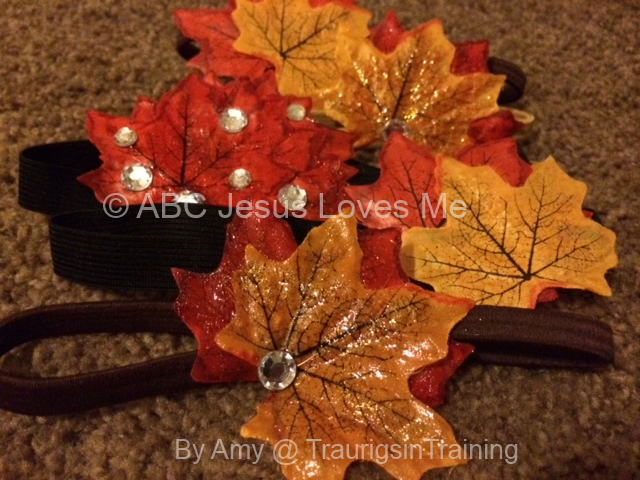 Heat a Hot Glue Gun and have fun decorating your headband with the fall leaves, craft jewels, and fun fall fabric scraps. Thank you to Amy at Traurigs In Training for sharing this idea. 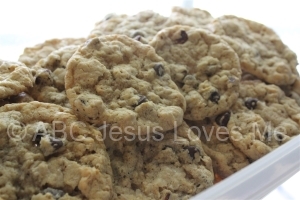 Hershey Kiss, chocolate chips, and a Nutter-Butter (use Ritz Bitz or mini Nilla Wafers if allergic to peanuts) are all that you need. 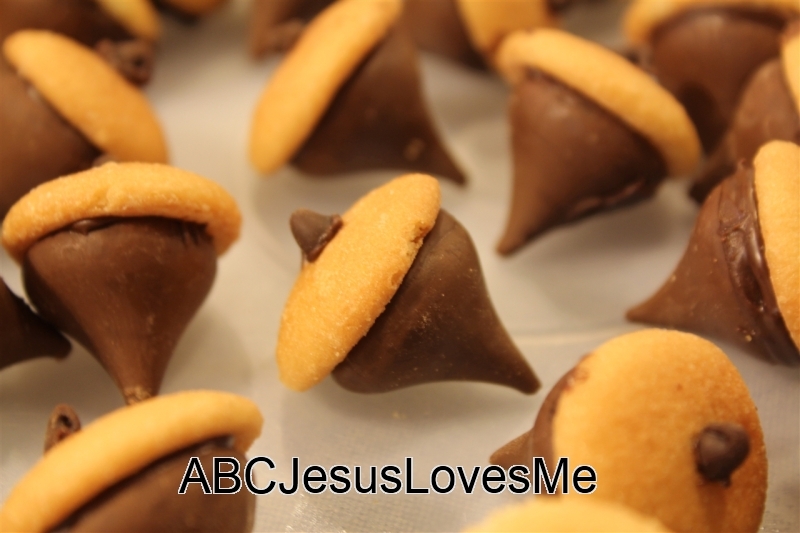 We made these acorns for Little Man's Thanksgiving Feast at church. The older kids were able to help quite a bit while Little Man unwrapped the Hershey kisses. 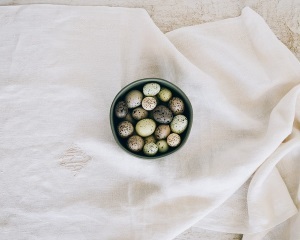 Melt 1/2 cup chocolate chips in the microwave for 10 second intervals, stirring between each set. Unwrap the Hershey kisses. Lightly dip the kiss into the melted chocolate and then set on the Nutter-Butter or Nilla Wafer. Let sit to firm up. Then dip a mini chocolate chip into the chocolate and set on top. - The kisses will begin to melt in your hand very quickly so don't over handle. - As we made the acorns, we placed them in a container that was sitting on two ice packs. This helped the acorns set up faster. - Use only enough melted chocolate to make the pieces stick together. Otherwise the chocolate oozes out. In a small bowl, combine frosting and enough food coloring to make the frosting yellow. Dip the top (wide part) of the peanut butter cup in yellow frosting. Center the peanut butter cup on the cookie forming a pilgrim hat. Add a buckle using frosting and a piece of Chiclets gum or a tic-tac. Repeat with the remaining peanut butter cups and cookies. 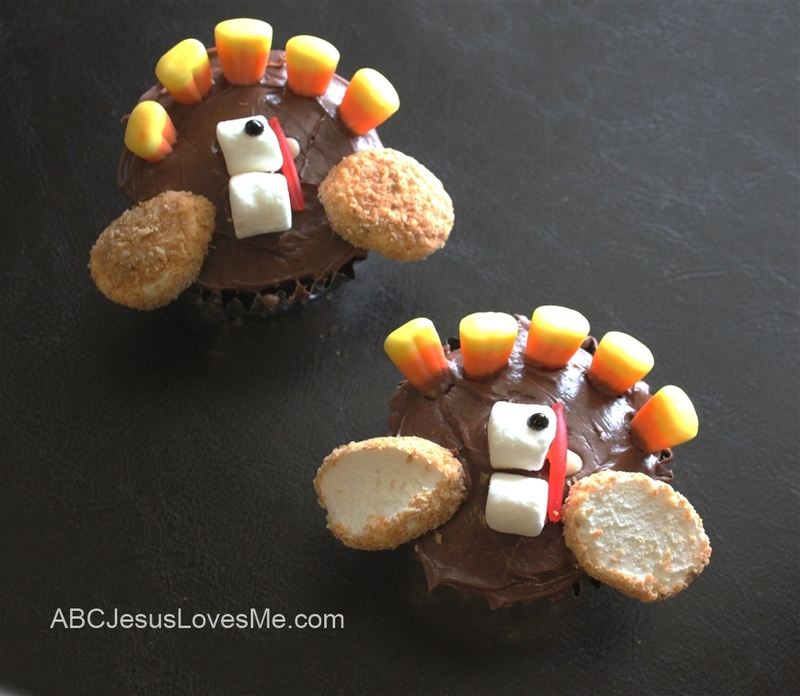 Make Turkey Cupcakes out of marshmallows, candy corn, frosting and licorice. 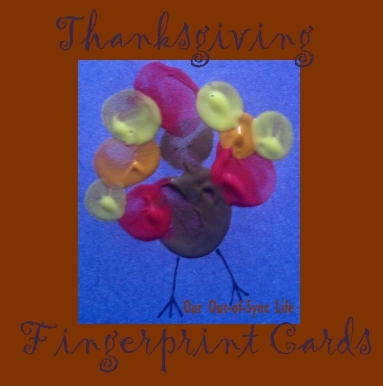 Using a handprint cookie cutter or trace around a hand, decorate the sugar cookie like a turkey. Bake sugar cookies according to directions. Pipe chocolate frosting on outer edge of half of the cookie. Arrange candy corn pieces on frosting with points pointing toward the center of the cookie. Pipe orange frosting to create turkey feet and face. Place M&M's on frosting for eyes. Over the sea and water they float (make wave motions with hands). above eyes as if searching). It's America, so grand (fold hands and bow head as if to pray). Continue to repeat this song, subtracting the number of pilgrims as you go until there are no pilgrims left. According to Wikipedia, the Pilgrims sighted land on November 9, 1620. "The passengers who had endured miserable conditions for about sixty-five days were led by William Brewster in Psalm 100 as a prayer of thanksgiving." 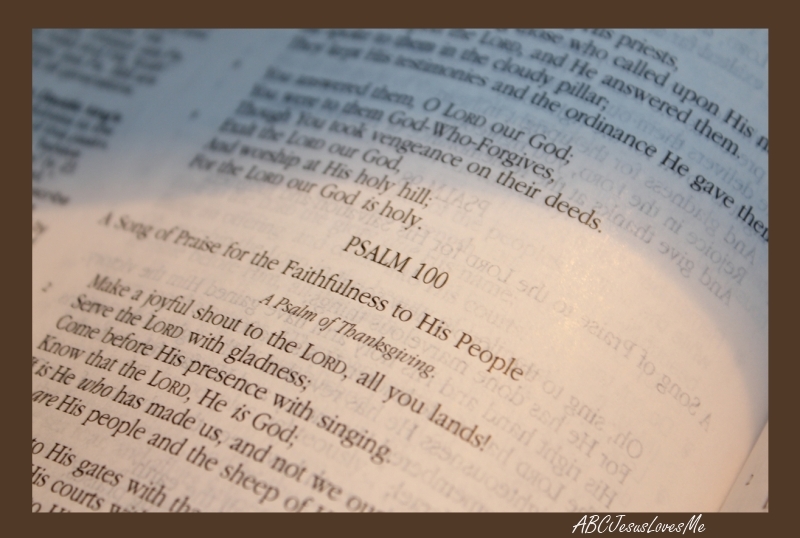 What better way to begin your Thanksgiving celebration than reciting this Psalm together as a family. Make the goal of memorizing these five verses for the month of November. Thank you Ashley for sharing this idea. and His courts with praise (praise hands). Therefore my heart exults, And with my song I shall thank Him. 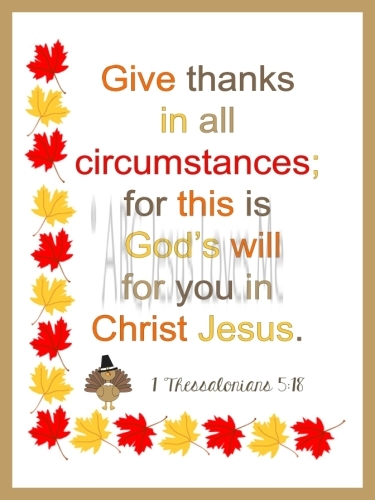 Psalm 95:2a Let us come before Him with thanksgiving. Thank you to Amy at Traurigs In Training for creating this printable. Psalm 107:1 Give thanks to the Lord for He is good, His love endures forever. Psalm 106:1 Praise the Lord give thanks to the Lord, for He is good. Psalm 118:28 You are my God and I will give You thanks.